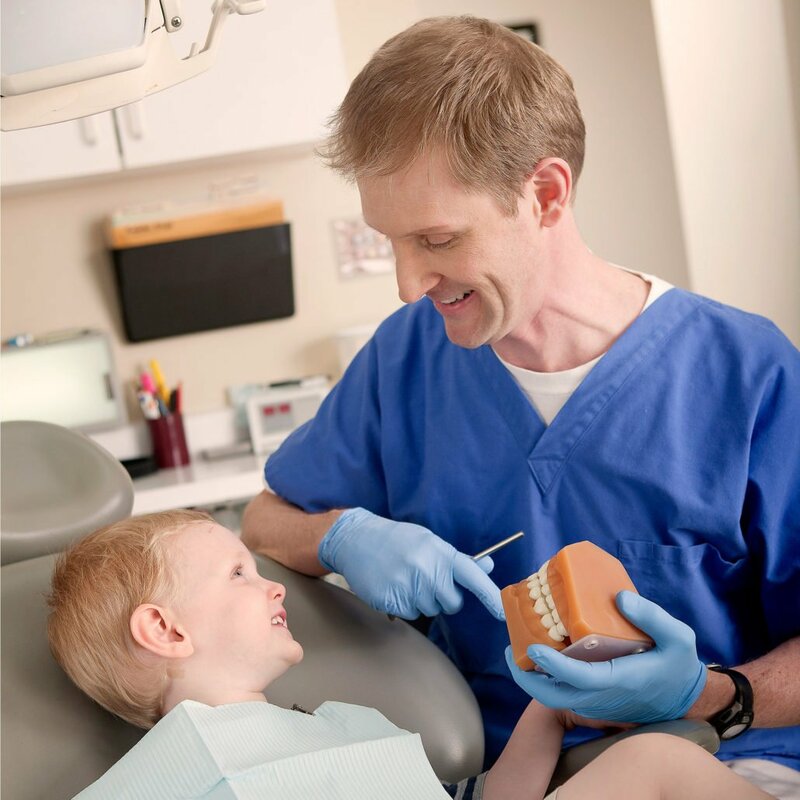 Dr. John Robinson is your family dentist serving the Tucker, Embry Hills, Dunwoody, Lakeside and Oak Grove communities. He provides the highest quality dental care for your entire family, including children, teens, and adults. 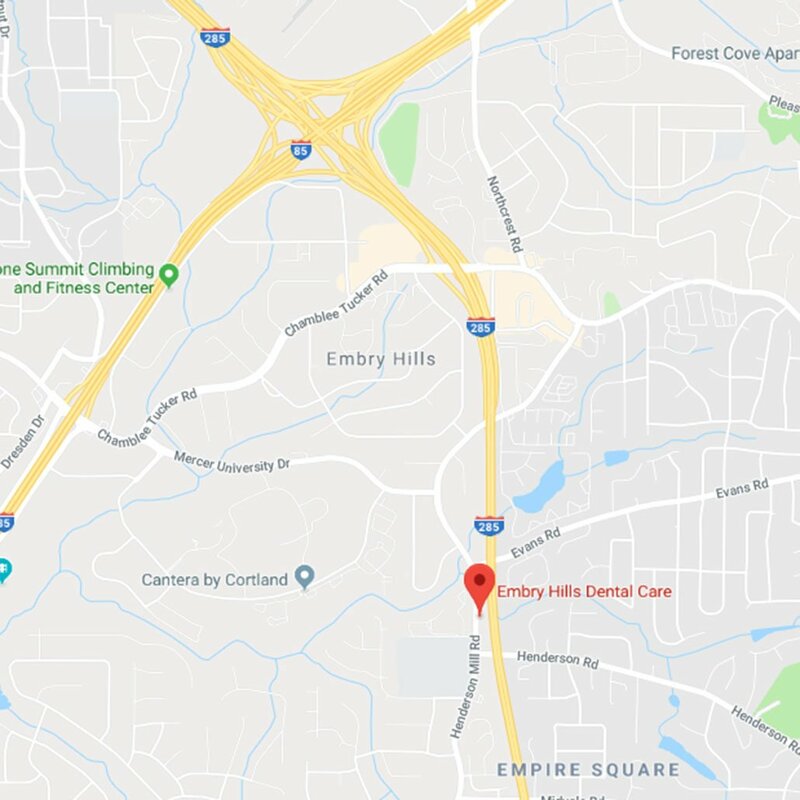 Embry Hills Dental Care is conveniently located near Interstates 85 and 285, and is easily accessible to the Embry Hills, Dunwoody, Tucker, Lakeside, and Oak Grove areas. 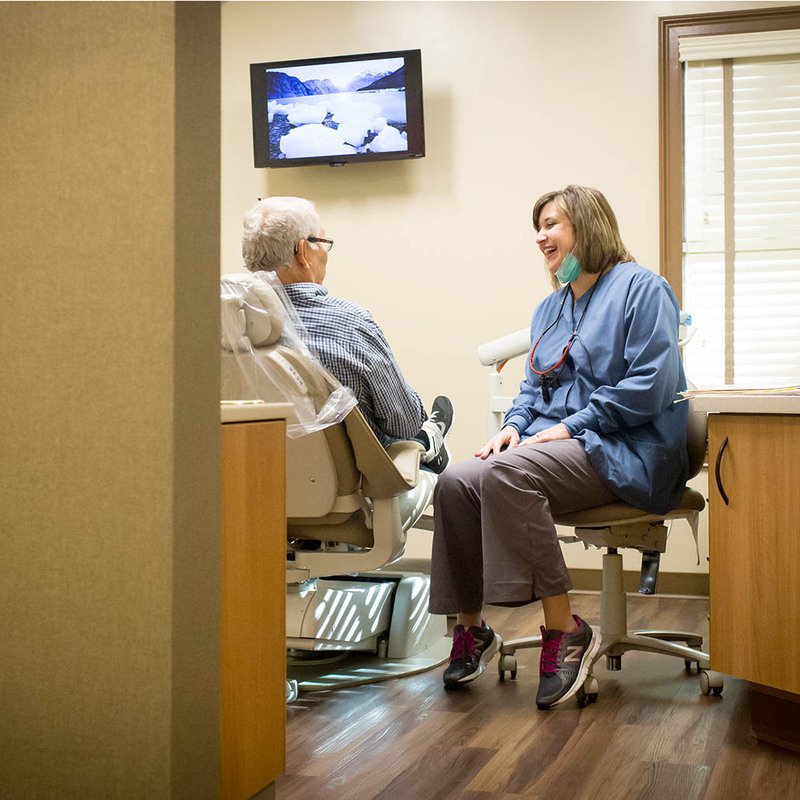 At Embry Hills Dental Care, we take pride in offering our patients a comfortable and personalized dental experience. As a family dentist in Northeast Atlanta, Dr. Robinson offers a wide array of services including preventative, cosmetic and restorative dentistry, with a focus on jaw joint stability. What a joy it is to have found Embry Hills. It is a first class experience from the moment you walk in the door. Michelle is warm and inviting. She goes above and beyond to meet your needs. The hygienists Robin and Leslie are so easy to work with and very personable. They take time to provide you great care and their work is superb. Dr. Robinson is such a great dentist. He is personable, very knowledgeable and never makes you feel like he’s in a hurry. He takes time to get to know you so he can serve you. Finding Embry Hills was definitely a blessing! I am usually a tough critic so this review says it all. If you are looking for a dentist, look no more. I can’t say enough positive things about Embry Hills Dental Care! All of the staff are friendly, warm and caring, and go out of their way to provide excellent customer service. Dr. Robinson has taken the time to provide thorough and personalized Dental Care for my whole family. A great find! Great atmosphere of caring and providing comprehensive dental health services. We’ve been impressed by the foresight regarding preventative treatment as well as collaboration with oral surgeons and orthodontists for addressing complex issues as well as flexibility to handle immediate needs for treatment. You’ll be in good hands if you are a patient at Embry Hills Dental Care.